We’d love your help. 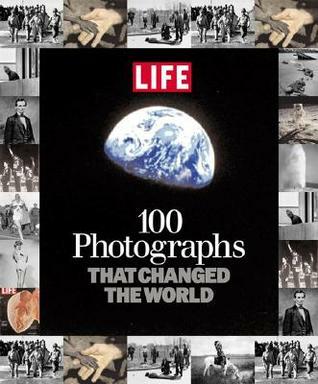 Let us know what’s wrong with this preview of 100 Photographs That Changed the World by LIFE Magazine. From the Editors of Life Magazine. The power of pictures is celebrated in this portfolio of the most forceful still images of all time. Robert Capa's dispatches from the beach at Normandy and Joe Rosenthal's photographic report of Iwo Jima stirred a nation, as did-in quite an opposite way-Eddie Adams' and Larry Burrows' searing imagery from Vietnam. LIFE thinks outside the From the Editors of Life Magazine. To ask other readers questions about 100 Photographs That Changed the World, please sign up. Truly excellent photographs! I look through this book often. Some of the photographs truly touch my heart. Some are mind-blowing! Most I shall never forget. A must-have book for everyone! Horrific! Beautiful! Why? Why not. Life Magazine always had unbelievable photography. I miss Life, their photography, and the people who were able to produce such dynamic photography. It felt as though Life was always there at THAT moment. These will make one laugh. These will make one cry. No one shall ever forg Truly excellent photographs! I look through this book often. Some of the photographs truly touch my heart. Some are mind-blowing! Most I shall never forget. A must-have book for everyone! The photos were fascinating, especially their well-written captions. But I think some other photos could be in this collection. However, it is the selective taste of the Life Magazine writer. It could be said that there is a personal relationship between viewer and image. In the other words, the power of a picture is in the mind of the beholder. 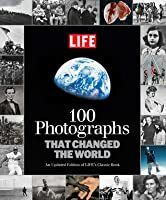 Not only did I scanned through the top 100 photos that changed the world but I also read the stories behind it. But one thing that I couldn't take upon reading this was seeing the photographs of suffering children who became innocent victims of this cruel world. Overall, I was amazed and my love for photography became deeper and stronger. Awe, inspiration, hope, joy, pride, gratitude, serenity, interest, amusement and love- are the elements of positivity, as identified by Barbara Fredrickson. And you will feel all of them looking and reading through this book. satu quote yg gw suka: "The power of a picture is in the mind of the beholder." satu gambar bisa beribu interpretasi. tergantung pada siapa, apa, kapan, kenapa, dan bagaimana-nya. seperti potret eksekusi gerilyawan viet cong tahun 1968 yang kemudian terkenal menjadi imej anti-perang itu. di satu sisi, foto itu menampakkan kekejaman yang tak terperi, tapi di sisi lain, sang eksekutor, Nguyễn Ngọc Loan, melakukannya untuk melindungi negeri yang dicintainya. Eddie Adams--yang mengambil foto tersebut satu quote yg gw suka: "The power of a picture is in the mind of the beholder." 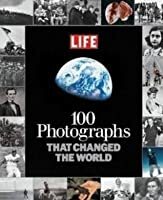 I found this book really interesting and the fact that it has the full photos but also has a blurb about each of them makes it more interesting. Some of the images will be well known to all generations who pick up the book, and some I found myself learning about for the first time. One particular photo which stood out for me was one in Jackson, Mississippi where a crowd of white citizens are abusing and taunting a black girl who is sitting at the counter of a cafe. The pain in her face is amazin I found this book really interesting and the fact that it has the full photos but also has a blurb about each of them makes it more interesting. Some of the images will be well known to all generations who pick up the book, and some I found myself learning about for the first time. One particular photo which stood out for me was one in Jackson, Mississippi where a crowd of white citizens are abusing and taunting a black girl who is sitting at the counter of a cafe. The pain in her face is amazing and it is interesting to think how far we have come from 1963 when that photo was taken. There is of course the Tiananmen Square and the fall of Iraq, but there are also photos of the Dead Sea Scrolls and the first ever moving picture. This was not comfortable to see/read at all times, but I think it was a valuable one to get through. The photos portray inspiration, hope and gratitude, but also horror, shock and fear. The photos show both highs and low of the human experience. The gruesome images may be too much and certainly are not suitable for young children, but they’re certainly valuable to remember. I don’t think anyone will be disappointed in giving this a read; it’d make a great coffee-table-style book and prompt discu This was not comfortable to see/read at all times, but I think it was a valuable one to get through. The photos portray inspiration, hope and gratitude, but also horror, shock and fear. The photos show both highs and low of the human experience. The gruesome images may be too much and certainly are not suitable for young children, but they’re certainly valuable to remember. I don’t think anyone will be disappointed in giving this a read; it’d make a great coffee-table-style book and prompt discussion. A picture really is worth a thousand words. Who should read it? Everyone who can handle the graphic aspects should give this a read. There are many historical events folks should know about. This collection of photos is especially important historically, since they were selected based on whether they prompted change. A very powerful comment on the force a picture can have when words are ignored. I was familiar with many if not most of the photographs, but it was interesting to read about them from a slightly different perspective (the art historical perspective includes the historical perspective, but doesn't always emphasize it). The writing is brief but generally includes the most This collection of photos is especially important historically, since they were selected based on whether they prompted change. I was familiar with many if not most of the photographs, but it was interesting to read about them from a slightly different perspective (the art historical perspective includes the historical perspective, but doesn't always emphasize it). The writing is brief but generally includes the most important information. Due to the regular amount of gore we see on media these days, I have been desensitized from the war images. The descriptions, however, were chilling. Obviously, whether or not these photographs truly changed the world can be debated. Whether or not you agree with the title, this is a collection of powerful photos. A lot of them are not easy to look at. But they're all important and help us to remember where we came from, very often places we should never go again. Many of these gave me goosebumps or left me teary-eyed. I highly recommend this collection. Power, moving and raw, this collection of photographs presents key historical events that has happened in the 20th century. It is primarily U.S focused but nevertheless covers a majority of the photos that have rocked the perception of the world. The emotions and history conveyed in photographs is unparalleled. A bit outdated now but still a recommended read. Зураг доторх түүх болон он цагийн зүдрээ нийлээд зүрхийг минь хэд дахин нугалаад авах шиг. Хүн төрөлхтөн өнөөдрийн нарыг харах гэж ийм их хүний амийг авч одох хэрэгтэй бсн ч юм уу үгүй ч юм уу. Тойрох аргагүй дайрах л учиртай зам байждээ гэж нэг өөртөө шивэгнэлээ, гэвч өөрийнхөө нүдийг хуурч чадамгүй аймшигтай бодит зураглал! not only photos, behind the stories are very touchy. Good not great book of interesting and important photographs that had an impact on people and society to some extent. There are famous pictures included as well as less known shots of important events. Nice to read or look through, but not presented in a way that will stick with you for any amount of time. Tercih edilen veya edilmeyen fotoğraflar ile yayınlanan bazı tarihi fotoğrafların okuyucuya servis ediliş şekli tartışmaya açık. Yine de Life dergisi editörleri tarafından seçilen bu fotoğraflar yakın geçmişe doğru okuyucuyu hüzünlü bir yolculuğa çıkarıyor. Özellikle savaşın sebep olduğu ağır tahribatları yansıtan fotoğraflar oldukça sarsıcı. Although the title is somewhat misleading, the book does contain some powerful photography from throughout the years of Life Magazine. It covers a wide range of subject matter and has interesting annotations throughout. Powerful photographs, very powerful photographs. Many of them are disturbing. Despite that, I would recommend this book to everyone. The photographs are accompanied by a description, that provide a summary of the events surrounding the image. Wonderful photos! perfect coffee table book. Fascinating collection of photos. Well worth a read. Their theme for the whole book was "the 1st photo" to do this or capture that. But those photos did change the World right when they were made public. Nice little description provide for each photo. Great book, not surprisingly since these are great photos. At least it changed my world. Very interesting. I learned a lot and enjoyed looking at the photos and learning the stories behind them. It was good, though I disagreed with a few of their choices and more than a few of their NON-choices, it was a nice "snapshot" of world history. Skip the chapter on war if you have a weak heart. This book made the rounds of my large family. It's an amazing conversation starter, work of history, and guest-magnet. I teared up at a lot of the photos...but isn't that the point?